Your tile and grout can get a fresh new look with O'Bryan's Carpet Cleaning's tile and grout cleaning and sealing service. When tile grout lines are getting darker and dingier and mopping and scrubbing is no longer effective, we can restore the shine and gloss to your kitchen, bathroom, and entryway floors. Our process starts out with treating the tile and grout with a specially formulated cleaning agent. Then, the grout lines are scrubbed while the cleaning agents are allowed to dwell and loosen the age old dirt and grime. We then use our Turbo Hybrid Professional tile and grout cleaning machine to, in essence, steam pressure wash the tile and grout. All the water used is instantly captured and vacuumed away leaving the tile and grout astoundingly cleaner! When the cleaning is finished, the tile and grout is absolutely residue free. This is the perfect time to seal the tile and grout. The sealer creates a barrier that does not allow dirt and grime to penetrate, making future maintenance much easier. 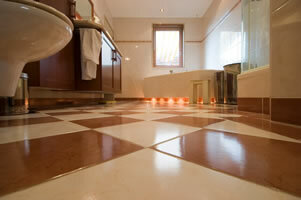 Our tile and grout cleaning and sealing is one of our most popular services! 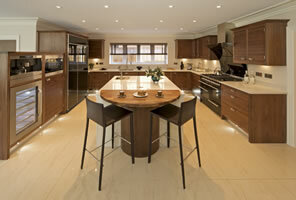 We offer a matte or glossy finish sealer, depending on your preference. 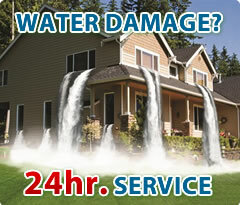 Contact O'Bryan's Carpet Cleaning today for a free estimate. Based in Denton, Texas, O'Bryan's Carpet Cleaning is your best source for tile and grout cleaning in Denton, tile and grout cleaning in Lewisville, tile and grout cleaning in Flower Mound, tile and grout cleaning in Argyle, tile and grout cleaning in Highland Village, tile and grout cleaning in Copper Canyon, tile and grout cleaning in Bartonville, tile and grout cleaning in Lake Dallas, tile and grout cleaning in Hickory Creek, tile and grout cleaning in Little Elm, tile and grout cleaning in Corinth, tile and grout cleaning in Oak Point, tile and grout cleaning in Crossroads, tile and grout cleaning in Aubrey, tile and grout cleaning in Krugerville, tile and grout cleaning in Providence, tile and grout cleaning in Highland Village, tile and grout cleaning in Sanger, tile and grout cleaning in Krum, tile and grout cleaning in Ponder, tile and grout cleaning in Justin, tile and grout cleaning in Lantana, tile and grout cleaning in Robson Ranch, tile and grout cleaning in Shady Shores, tile and grout cleaning in Trophy Club, tile and grout cleaning in Northlake, tile and grout cleaning in Roanoke, tile and grout cleaning in Bolivar, tile and grout cleaning in Paloma Creek, tile and grout cleaning in Savannah.